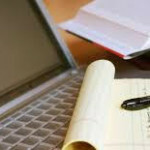 Blog > Career Counseling > Career Counselling – Why Is It Needed? When a student of Class 10 or 12 is asked what field he wants to choose to make a career, he is confused. Earlier, the career choice was limited to engineering or medical. Today’s world is filled with innumerable choices for freshers to choose the career they want. Hence, it has become increasingly important for someone to guide them in taking a crucial decision at this juncture. Many would argue that parents and teachers are the best judge of a student’s true calibre. Parents, though they want the best for their children, aren’t aware of the latest trends in education. Their limited knowledge about few fields is not enough for the child to make a career choice. Moreover, some parents with authoritarian mindset want their child to pursue a certain career despite their child’s lack of interest in the field. For parents, it is a matter of status symbol if their child becomes a doctor or engineer. A large number of students even today choose a career merely because their parents asked them to do so. Many others who possess a herd mentality decide to just follow the crowd. It is in such cases that a career counsellor steps into the picture. Career Counsellors guide the students for making the right career choices keeping in mind their areas of interests. They opine that one should make a career in one’s field of interest rather than succumbing to social pressures. Career Counsellors discuss the pros and cons of each field with the parents and students. They are in touch with the latest trends in the various fields and hence, are able to guide the students effectively. They conduct tests to check whether the student has the aptitude for the field he wishes to opt for. Based on the student’s interest, aptitude test scores and a follow-up interview, Career Counsellors provide their suggestions. Students get information on the educational courses and trainings required to embark on the chosen career path. The services provided by Career Counsellors in Delhi have undergone a lot of changes in recent times. 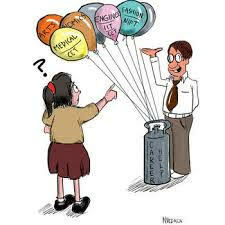 Today, the Career Counsellors in Delhi cater to not just 10th or 12th standard students. The Career Counsellors in Delhi also provide guidance to graduates who are looking out for jobs, working professionals who want to seek higher studies, and working professionals who want to switch careers due to lack of growth in their current careers. Career Counsellors in Delhi now focus on an individual’s personality, aptitude and interests before providing any recommendation. You can now avail Personalized Guidance from Career Counsellors in Delhi who conduct a series of assessments to gauge your skills. A comprehensive report based on these assessments is prepared by the Career Counsellors in Delhi and they recommend the best-fit careers for you. Career Counsellors in Delhi guide individuals across the world through online services.